As you can see i got a couple of gifts for christmas from my boyfriend and his family whilst i was in Wimbledon this Christmas. Since i am posting this from home (MALTA) unfortunately i am missing my cute leopard bed slippers his mum got me as i left them there as we are going back next Wednesday 9th! (yes crazy i know but most of January i will be posting from the UK)! For me christmas isn't about who gets lots of gifts as you see on people's channels and stuff. All i care about is being with the people that i love and spending quality time with them. Unfortunately i didn't spend christmas for the first time ever with my family as instead i spent it with my boyfriend and his family abroad on a little unexpected vacation. My boyfriend keeps surprising me each and every time he gives me anything. I have to admit i was pretty scared what i was expecting from me but he blows me away with joy every single time. 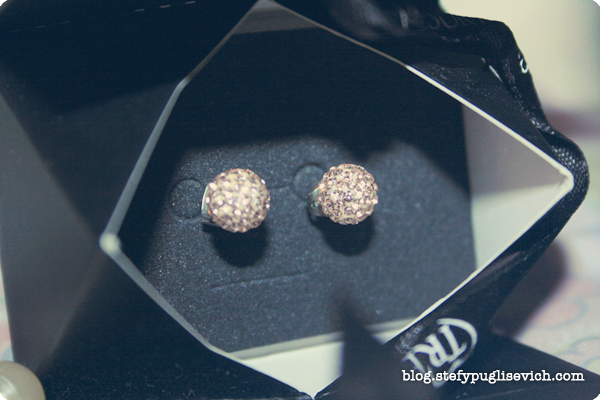 He got me these lovely rose gold/champagne colored spherical crystal ball studded earrings from Tresor Paris. 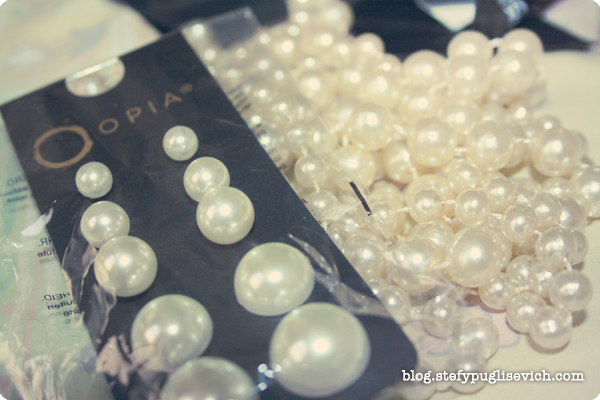 His family bought me a pair of bed slippers, my most wanted pearl earrings set from PRIMARK (my boyfriend and i had an argument cause of these as i was going to purchase them at the check out and the amount of excuses he made for me not to purchase them was incredible) and a set of pearl necklaces from Primark. My Present from mum and dad were some spending money whilst i was away so i bought a couple of clothing items. Last but not least was a present from myself. (We all need to give a gift to ourselves don't we?) Every time i go abroad it is a must that i take down a perfume. But knowing i was coming back in a weeks' time i said i'd give it a sniff and get it later, but how can you resist when you are flying back home and the brochure booklet are selling the Lady Gaga Perfume for just £25 for a 50ml, saving me about £6 off the original price. 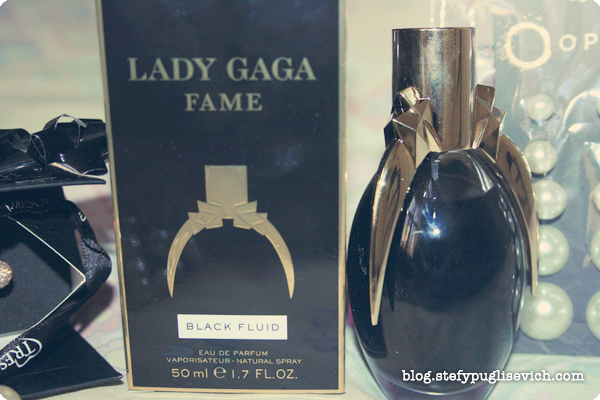 It smells divine, a review on this perfume will be up very shortly as i am loving the sweet scent. 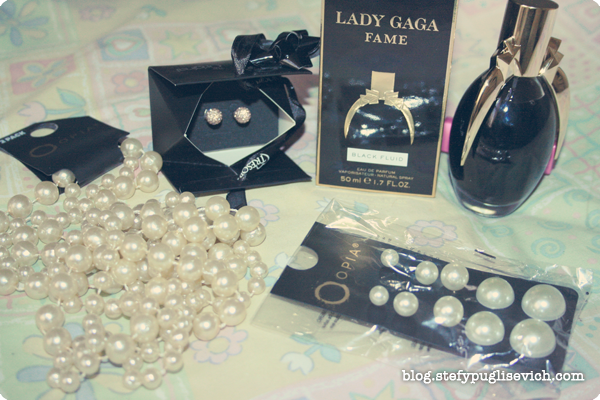 I always get a perfume with me when I go abroad, and the lady Gaga perfume will be my next purchase from my next trip! It's a def. recommendation from me, i love the fruity fragrance! Yeah, i never like wearing the same sizes neither. like that like you said i have variety too!